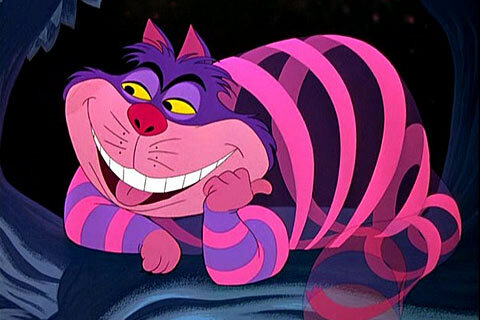 At the opening of Parashat BeShalach, as the Israelites are being led out of Egypt, God faces a similar “Cheshire cat” dilemma: Which path to take to the Promised Land? For God said to himself: Lest the people regret it. When they see war, and return to Egypt! So God had the people swing about by way of the wilderness at the Sea of Reeds. כִּי אָמַר אֱלֹהִים: "פֶּן-יִנָּחֵם הָעָם בִּרְאֹתָם מִלְחָמָה--וְשָׁבוּ מִצְרָיְמָה." This internal monologue of God as “Trip Planner” makes it clear how tangential the whole Exodus process was. God is well aware of their weaknesses, and eminently nervous about how on board they are with the entire project. 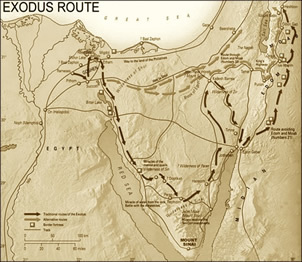 It is clear that the Exodus is a slow-cooking process, a journey which requires time. It is a long path that is short. God’s decision, to go by way of the Red Sea, sets up the main scene of this week’s Parsha: the parting of the Sea, the final conquest of the Egyptians, and the incredible song and promise that comes from it: ה' ימלוך לעולם ועד - “Let God be King for ever after”. On a different level, I find the “path to the promised land” dilemma to serve as a powerful metaphor for two different orientations towards life: the desire for tranquility and the desire for challenge and tension. …the position that is prevalent nowadays in religious circles, whether in Protestant groups or in American Reform and Conservative Judaism, [is] that the religious experience is of a very simple nature – that is, devoid of the spiritual tortuousness present in the secular cultural consciousness, of psychic upheavals, and of the pangs and torments that are inextricably connected with the development and refinement of man’s spiritual personality. This popular ideology contends that the religious experience is tranquil and neatly ordered, tender and delicate; it is an enchanted stream for embittered souls and still waters for troubled spirits. The person “who comes in from the field, weary” (Gen. 25:29), from the battlefield and campaigns of life, from the secular domain which is filled with doubts and fears, contradictions and refutations, clings to religion as does a baby to its mother and finds in her lap “a shelter for his head, the nest of his forsaken prayers” and there is comforted for his disappointments and tribulations. […] This Rousseauean ideology left its stamp on the entire Romantic movement from the beginning of its growth until its final (tragic!) manifestations in the consciousness of contemporary man. Therefore, the representatives of religious communities are inclined to portray religion, in a wealth of colors that dazzle the eye, as a poetic Arcadia, a realm of simplicity, wholeness, and tranquility. […]This ideology is intrinsically false and deceptive. That religious consciousness in man’s experience which is most profound and most elevated, which penetrates to the very depths and ascends to the very heights, is not that simple and comfortable. On the contrary, it is exceptionally complex, rigorous, and tortuous. Where you find its complexity, there you find its greatness. The religious experience, from beginning to end, is antinomic and antithetic. The consciousness of homo religiosis flings bitter accusations against itself and immediately is filled with regret, judges its desires and yearnings with excessive severity, and at the same time steeps itself in them, casts derogatory aspersions on its own attributes, flails away at them, but also subjugates itself to them. It is in a condition of spiritual crisis, of psychic ascent and descent, of contradiction arising from affirmation and negation, self-abnegation and self-appreciation. […] Religion is not, at the outset, a refuge of grace and mercy for the despondent and desperate, an enchanted stream for crushed spirits, but a raging clamorous torrent of man’s consciousness with all its crises, pangs, and torments. There is much to say about Soloveitchik's position here. Among others, I find the denominational criticism to be ironic, since so much of Orthodoxy today is exactly about observant Judaism as a tranquil Arcadia from secular life’s upheavals. I also struggle with the value of self-abnegation, since it is easily abused to become a rallying cry against basic moral tenets. But I am continuously inspired by Soloveitchik’s commitment to the struggle, his criticism of the "short path" to tranquility and his complex, challenging vision of identity as a scene of crisis and opportunity, ascent and descent. There is more to unpack in this piece about the place of religion in western identity, but for now, I take Soloveitchik as a motivational piece: When I need some encouragement to take the “long path which is short”, I return to Soloveitchik’s "footnote 4", as it helps me take up the struggle again, as I walk the narrow path towards the Promised Land.